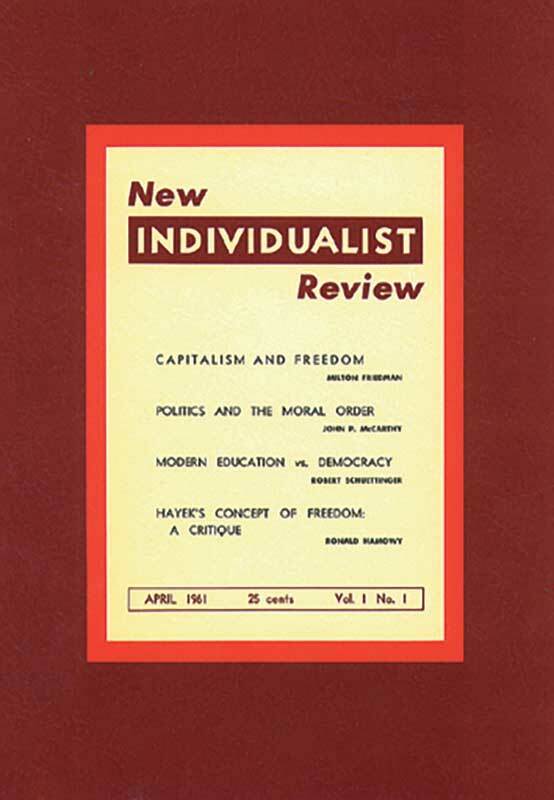 Initially sponsored by the University of Chicago Chapter of the Intercollegiate Society of Individualists, the New Individualist Review was more than the usual “campus magazine.” It declared itself “founded in a commitment to human liberty.” Between 1961 and 1968, seventeen issues were published which attracted a national audience of readers. Its contributors spanned the libertarian-conservative spectrum, from F. A. Hayek and Ludwig von Mises to Richard M. Weaver and William F. Buckley, Jr. In his introduction to this reprint edition, Milton Friedman—one of the magazine’s faculty advisors—writes that the Review set “an intellectual standard that has not yet, I believe, been matched by any of the more recent publications in the same philosophical tradition.